Superfoods are all the hype nowadays. With a new wave of consciousness towards health, wellness and good nutrition, one element that sticks out in conversation is the power of superfoods. Superfoods have no official classification, however, there are a few aspects that generally determine their status. Firstly, foods considered healthy superfoods have an extraordinarily high micronutrient density. This means the have an above normal abundance of vitamins and minerals, compared to other similar foods. Secondly, these nutrients are typically found to have profound health benefits, often optimising natural health or even serving as natural remedies. Lastly, superfoods are natural. This means they are wholefoods or natural derivatives of whole foods such as extracts or powders. Chemically processed foods and foods containing synthetic additives are off the list. The idea of superfoods has taken off to the point where it has become a marketing buzzword. Slapped into food packaging labels with the same fervour as “vegan”, “fat-free” and “glutenfree”. And because being a superfood is not an official classification, it’s all too easy to do just that. There are a few true bastions of goodness and wellness, healthy superfoods that have been a staple for centuries if not millennia. One such example is matcha. 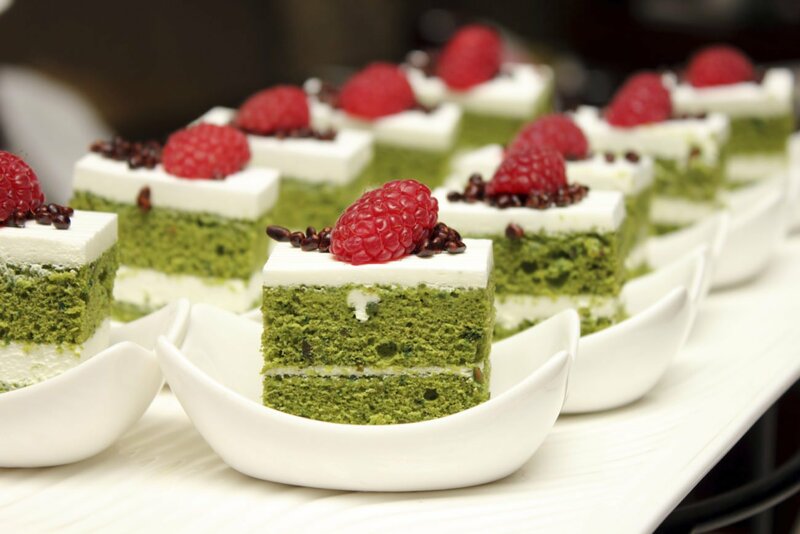 Matcha is a Japanese type of green ttea, made of ground green tea leaves. The powder was originally used in the Japanese tea ceremony where its use was considered therapeutic in a spiritually significant way. Matcha also has its origins as a traditional food and textiles dye. 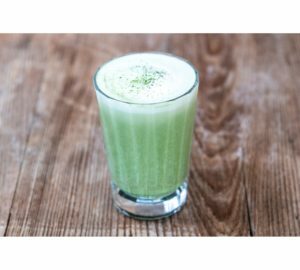 As far as health benefits are concerned, Matcha truly shines. Matcha is the product of shade grown green tea. This process of growing causes the leaves to grow slower and accumulate an increased density in chlorophyll. Chlorophyll is the pigment that makes plants green. This pigment, in high enough concentrations, has profound health benefits. Chlorophyll has anti-cancer benefits. It has been shown to bind to carcinogens (cancer causing toxins) in the digestive tract. A study conducted at the Linus Pauling Institute at Oregon State University showed that chlorophyll inhibits the absorption of aflatoxin-B1, a toxin that damages DNA in a way that triggers cancer. Because of this abundant concentration of chlorophyll, Matcha is definitely a healthy superfood with a cancer fighting edge. Matcha is also perfect as a weight loss companion. It is almost calorie free so presents no risk of you adding extra pounds. Added to this, matcha is a known natural fat burner. This is achieved by its ability to make fat readily available to metabolise as well as its ability to boost your metabolism. This dual effect on fat burning makes this healthy superfood a weight loss warrior. As mentioned, matcha has its roots in the Japanese tea ceremony. It was used as a meditative supplement by religious monks. These monks would drink the tea in order to remain in a state of meditative focus. Science has now revealed that a certain property of matcha is responsible for the deepened state of mental calm. The amino acid L-theanine is present in significant amounts in matcha as well as most other tea strains. It is know to improve mental clarity while reducing stress by promoting alpha wave brain activity. 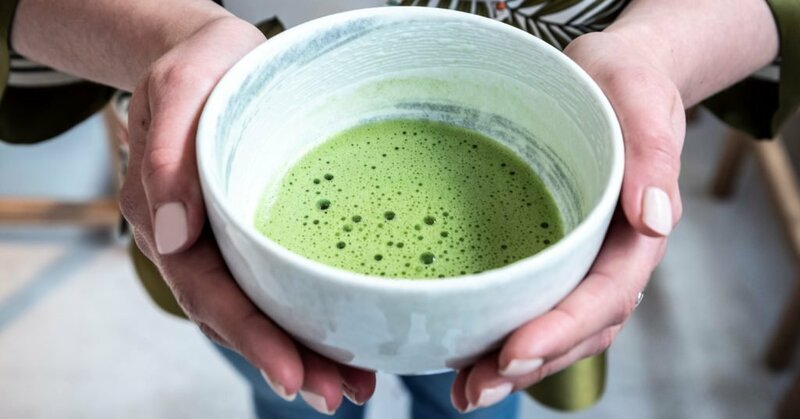 Because of this, consuming matcha is a recommended way to help deal with mental conditions such as anxiety and clinical depression, or simply a good way to un-stress after a hard day of work. Matcha is a potent antioxidant complex. It’s antioxidant potential is vastly superior to many common superfoods such as goji berries and acai berries. This is due to the abundance of phytochemicals such as chlorophyll as well as the high vitamin and mineral density. This antioxidant balance, fights oxidative stress, a leading casue of inflamation which decreases immune activity. You can therefore consider matcha as an immune booster. Oxidative stress also speeds up the aging process as cellular damage is accelerated. Matcha helps combat this, acting as a fountain of youth in some sense. No wonder japanese monks lived so long! 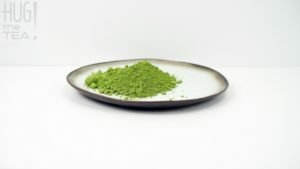 The healthy superfood benefits of Matcha also extend to its energy giving qualities. Like most teas, matcha contains caffein (thein), a natural energy-boost. Unlike many however, it gives you a more prolonged energy-boost, avoid the typical crash associated with a caffein spike. This is because matcha also, as mentioned, boosts your metabolism, creating a prolonged energy increase. The amino acid L-theanine, aside from boosting mental focus, also binds to the caffein. This has the effect of slowing down it’s absorbtion for a more slow and steady energy release all day. 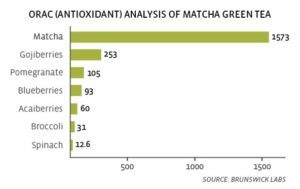 The antioxidant qualities of matcha also come into play regarding energy. 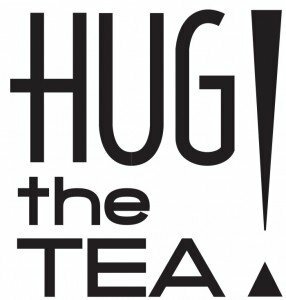 With your body operating in tip top condition, free from oxidative stress, all systems go! 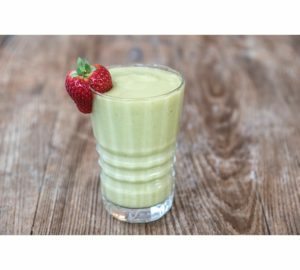 Matcha is a tried and tested healthy superfood. Its benefits have been exploited for centuaries and we are simply just rediscovering something that was already known. You can pick a tub up at your local health food store. 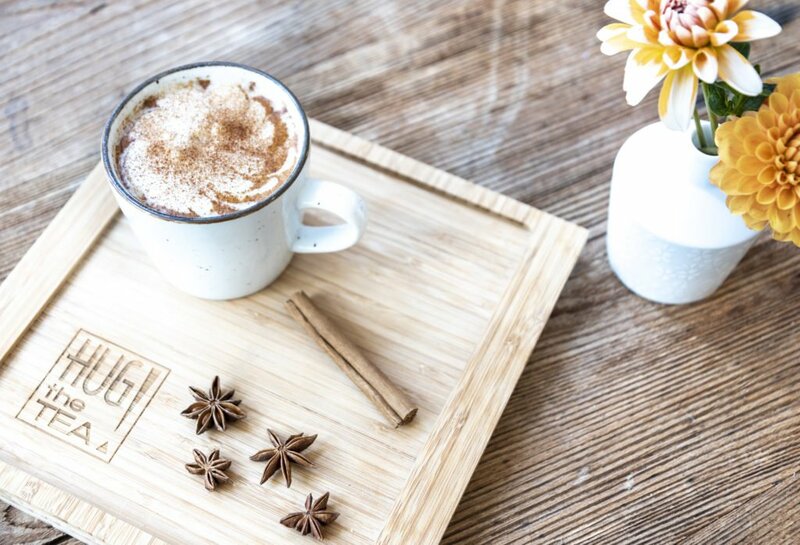 Its energetic qualities make it a perfect coffee substitute, helping you eliminate the dreaded caffein crash. 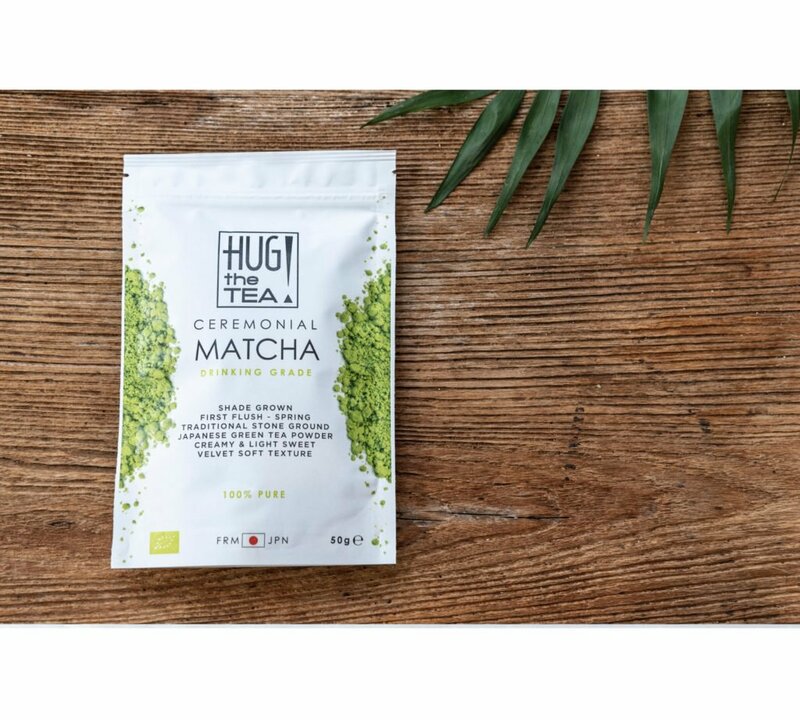 This healthy superfood is best enjoyed hot (80 degrees water) as a teashot or as a Matcha Latte with (plantbased) milk! Do you have any questions about this blog? 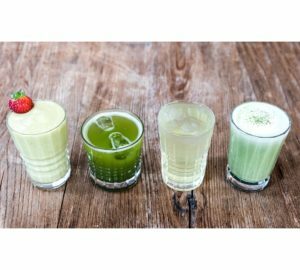 Older →BLOG #29: How to make an Iced Matcha Latte? BLOG: Matcha grade A, B, and C!